On October 24, 2016, the World Meteorological Organization issued an alarming press release. Global average CO2 levels appear to have permanently surpassed the symbolic threshold of 400 parts per million (ppm), significantly reducing the chances of curtailing global temperature rise beyond the 2° Celsius goal reached in the Paris agreement. Just three days later, on October 27th, the U.S. EPA released its EJ 2020 Action Agenda, its four-year “strategic plan for environmental justice.”  These two releases are inexorably linked. In order to understand the connection between environmental justice and climate change, a basic overview of the concept of environmental justice and its evolution is helpful. The passage of Title VI of the Civil Rights Act in 1964 provided a preliminary legal framework for environmental justice legislation. Title VI prohibited the use of federal funds to discriminate on the basis of race, color, or national origin. Also in the 1960s, Cesar Chavez and the United Farmworkers (UFW) began organizing to advocate for fair labor conditions for farmworkers, including freedom from exposure to toxic pesticides. In 1990, Robert Bullard’s work Dumping in Dixie: Race, Class, and Environmental Quality explicitly popularized the term “environmental justice” and the ideas about the inequitable distribution of environmental hazards that it represents. Then, in 1994, US President Bill Clinton issued Executive Order (EO) 12898 on environmental justice, directing federal agencies to “identify and address the disproportionately high and adverse human health or environmental effects of their actions on minority and low-income populations.” The order also directs federal agencies to develop strategies for implementing environmental justice. By this definition, environmental justice is aspirational, a state of equity to be “achieved” in both environmental health outcomes and the processes used to achieve them. However, this view of environmental justice in practice may conflate a goal with a labeling device, assigning a sort of binary designation to communities; either they are “environmental justice” communities or they are not, with resources and funding allocated accordingly. Typical risk-based models of single-pollutant exposure have historically informed this designation. However, even those that attempt to take income into account using proxies such as poverty level by census tract do not always adequately account for the nuanced ways in which multiple environmental risks and social, economic, and racial injustices combine to create disproportionate cumulative burdens. Additionally, these models have not traditionally incorporated monitoring and measurement tools for risks expressly related to climate change adaptation and mitigation, extreme weather events, or the effects of climate action plans on “environmental justice” communities. For example, when Hurricane Katrina struck the U.S. gulf coast, low-lying neighborhoods with neglected infrastructure such as the Lower Ninth Ward were most physically vulnerable to the devastation, and their residents were least likely to be able to evacuate before the hurricane hit. Residents of these hardest-hit neighborhoods were predominantly black and low-income, due in part to historical patterns of racism and exclusion. Additionally, they lacked many of the financial resources and services of wealthier communities for relocating or rebuilding and addressing trauma in the aftermath, and received disproportionately inadequate aid and disaster response/relief from city, state, and federal sources compared to wealthier, whiter neighborhoods. While Plan EJ 2014, the predecessor to the EJ 2020 Action Plan, did mention climate change, it offered few concrete plans to address it and never explicitly connected climate change to climate justice. Encouragingly, the 2020 Action Plan mentions the need to develop strategies and measures to address climate change in the context of environmental justice, and mentions “climate” overall nearly four times as often as the 2014 Plan. However, drafts of the EJ 2020 Action Agenda and its predecessor, Plan EJ 2014, have faced criticism from environmental advocates and civil rights organizations alleging that it lacks concrete steps for addressing environmental racism. In September 2015, the U.S. Commission on Civil Rights produced an Environmental Enforcement Report stating that EPA failed to enforce Title VI of the Civil Rights Act and the provisions of Executive Order 12898 on Environmental Justice. Encouragingly, the 2020 Action Plan adds considerable emphasis on measurements and monitoring not only of environmental health risks to overburdened communities, but also of enforcement and compliance activities. Laudably, the Plan also expressly mentions how EPA policies and initiatives such as the Clean Power Plan will promote climate justice by reducing pollution in vulnerable communities, but still seems to stop short of offering concrete new plans and tools specifically geared towards addressing climate change adaptation, mitigation, and resilience for these communities, although the Plan indicates hopes for more robust measures at the nexus of climate change and environmental justice in the future. However, climate change is still not one of the broad “key areas” listed under the three main goals in the Action Plan. In order to better address climate justice, environmental justice should be understood as a dynamic concept that affects a broad spectrum of people and communities in complex ways rather than a binary label that only applies at a certain threshold of income, demographic makeup, or risk of exposure to a single pollutant or type of pollutant (eg. air, water). Admittedly, the more intricate the web of contributing factors to a given environmental justice issue, and the more complex the causal relationships among various environmental burdens and health outcomes, the more difficult it is to define and create targeted environmental justice initiatives. Climate change is an especially difficult environmental justice issue to tackle given its multifactorial causes and the difficulty in tracing specific health outcomes to specific climate-related events over time. Additionally, adaptation, mitigation, and resilience strategies require a coordination of agency efforts, resources, and a level of political will and consensus that have become ever more difficult to reach. The challenge, however, is one that the EPA must meet in order to address the civil rights concerns raised in its EJ 2020 Action Plan. Climate change affects us all, but it is antithetical to the very principles of environmental justice to limit agency efforts to problems that are most easily solved, and in so doing, to continue to allow the communities who often contribute least to greenhouse gas emissions to shoulder the worst climate change burdens. Author’s Note (January 28, 2017): A series of executive orders, media blackouts on government agencies, mandatory review of scientific data by political appointees, and other actions by Donald Trump since his inauguration on January 20, 2017 will challenge EPA’s ability to move forward with research, regulations, and communications related to both climate change and Plan EJ 2020. However, climate change and its disproportionate effects on certain communities will not pause for politics, and coordinated efforts among citizens, scientists, and policymakers dedicated to promoting public health and environmental justice are needed now more than ever. It’s time to get creative, not complacent. Press Release, World Meteorological Org., Globally Averaged Co2 Levels Reach 400 Parts per Million in 2015 (Oct. 24, 2016), http://public.wmo.int/en/media/press-release/globally-averaged-co2-levels-reach-400-parts-million-2015). U.S. Envtl. Prot.Agency Office of Envtl. Justice, EJ 2020 Action Agenda (2016),https://www.epa.gov/sites/production/files/2016-07/documents/ej_2020_factsheet_6-22-16.pdf [hereinafter EJ 2020 Action Agenda]. Randy Shaw, Beyond the Fields: Cesar Chavez, the UFW, and the Struggle for Justice in the 21st Century (2010). Exec. Order No. 12,898, 59 Fed. Reg. 7629 (Feb. 11, 1994). Eric J. Krieg & Daniel R. Faber, Not So Black and White: Environmental Justice and Cumulative Impact Assessments, 24 Envtl. Impact Assessment Rev. 667, 671 (2004). James R. Elliot & Jeremy Pais, Race, Class, and Hurricane Katrina: Social Differences in Human Responses to Disaster, 35 Soc. Scien. Res. 295, 308 (2006). Greg J. Holland, Commentary: Hurricanes and Rising Global Temperatures, 109 Proceedings of the Nat’l. Acad. of Sci. (2012), http://www.pnas.org/content/109/48/19513.full.pdf. EJ 2020 Action Agenda, supra note 2. 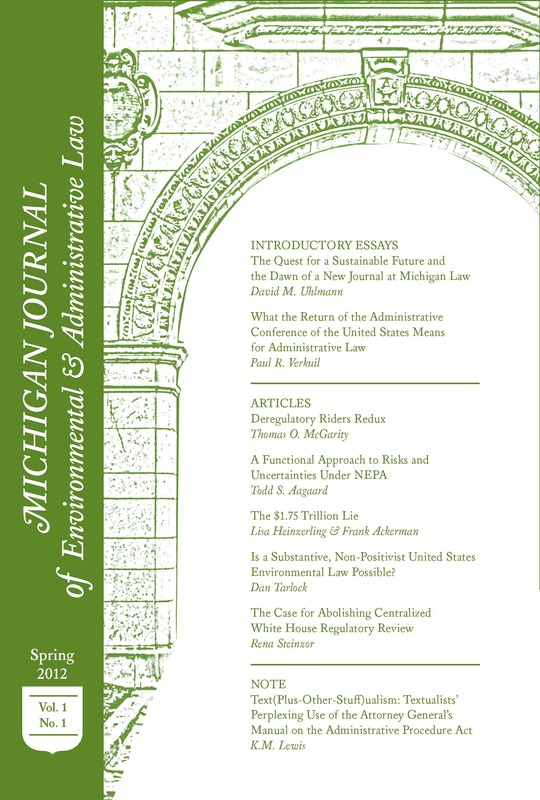 U.S. Commission on C.R., Environmental Justice: Examining the Environmental Protection Agency’s Compliance and Enforcement of Title VI and Executive Order 12,898 (2016), http://www.usccr.gov/pubs/Statutory_Enforcement_Report2016.pdf. The Health Impacts of Climate Change on Americans (2014),https://www.whitehouse.gov/sites/default/files/docs/the_health_impacts_of_climate_change_on_americans_final.pdf. Id. ; NAACP, Environmental and Climate Justice (2016), http://www.naacp.org/issues/environmental-justice/ (last visited Nov. 7, 2016).